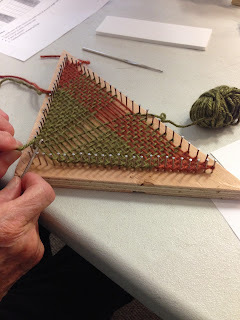 Ever wondered about weaving on a triangle loom? 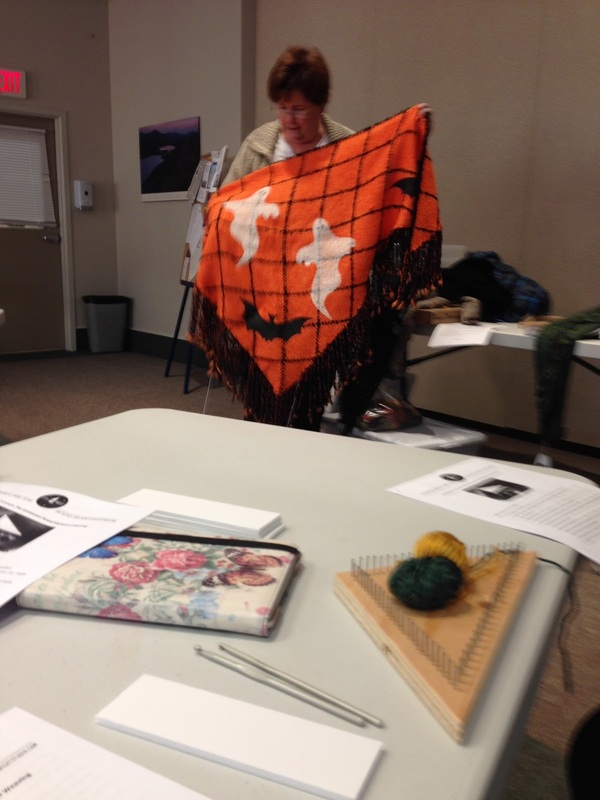 Some of us were certainly curious after seeing a demonstration at Fibrations this past summer. 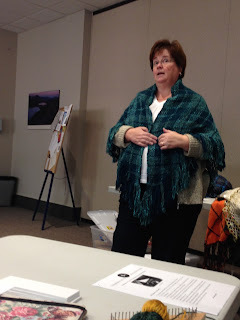 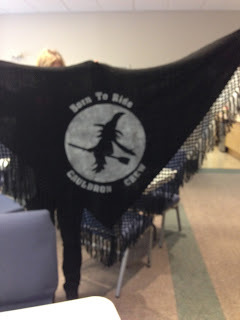 Our Programs Committee were right on this suggestion and invited Darlene Rogers of Still Night Studio to a Guild meeting. The tri-loom is the only loom that dresses itself; warp and weft are made simultaneously. Minimal equipment is required (no reeds or shuttles); just the loom, yarn and a locker hook and you are ready to weave. 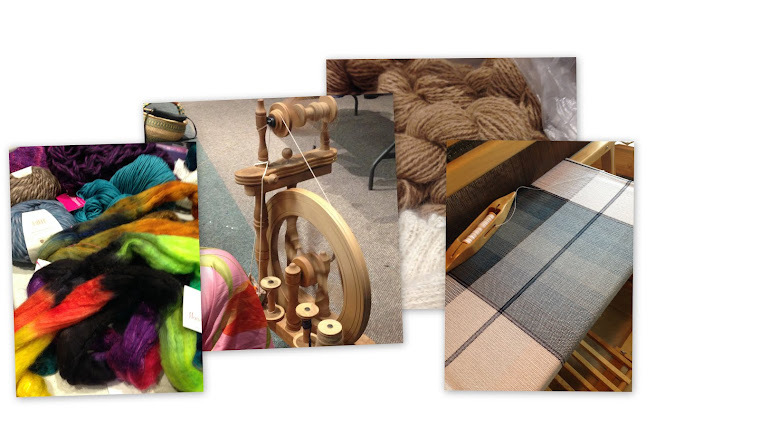 No restrictions to the type of yarns you can use and very little wastage. As you weave from the outside to the middle, colour changes are simple and the pattern is automatically symmetrical. 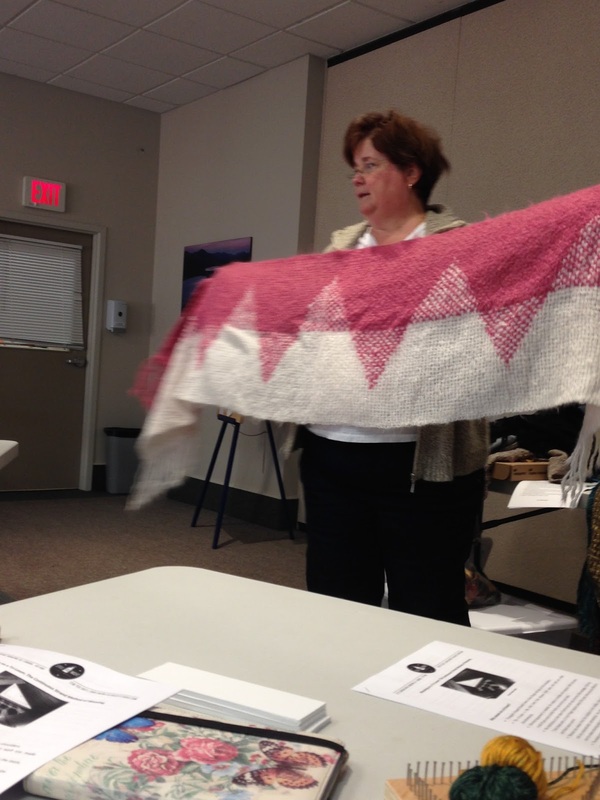 The whole project is always in full view; see your fabric evolve as you weave. 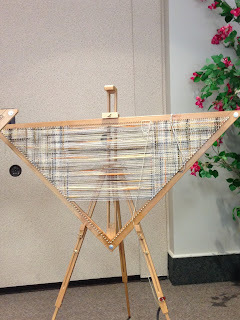 After the introduction and a show and tell of some beautiful shawls she has woven on her large tri-loom; we set to work with a hands on demonstration on our miniature 9" looms. 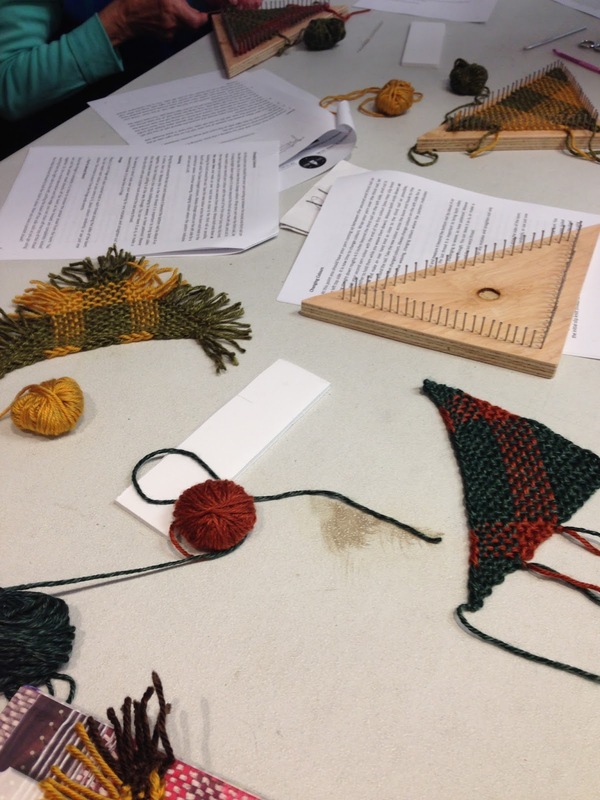 Darlene was very patient and generous with her time/knowledge to help us complete tiny 'prayer shawls' on the miniature looms.